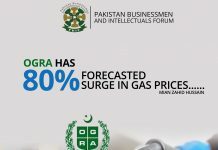 Home 3G Dar decisions resulted in economic revival. 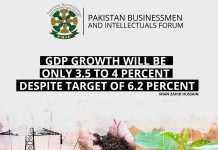 Pakistan’s economy is on growth trajectory which has infused confidence of investors and international institutions but pace of reforms must be accelerated, a business leader said Friday. 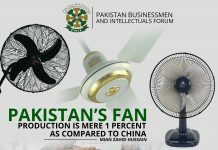 Finance Minister Ishaq Dar has focused attention on energy, expanding tax net, reforming PSEs, stabilising prices, currency and reducing deficit which is laudable, said President Pakistan Businessmen and Intellectuals Forum (PBIF) and former provincial minister Mian Zahid Hussain. 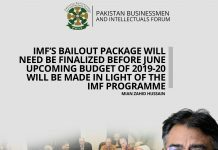 In a statement issued here today, he said that country was on the brink of default when PML-N came to power and change the situation by floating Euro and Sukuk bonds, auctioning 3G and 4G licences and by reducing interest rates. 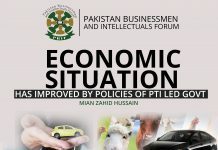 Mian Zahid Hussain said that CPI inflation was 8.63 in fiscal of 2014 while it was reduced to 4.53 in 2015. Inflation which was 7.9 in 2014 is now at 1.8 percent while current account deficit which was 3.13 billion dollars in 2014 came down to 2.28 billion in 2015. Forex reserves were at 7.58 billion in Feb 2014 which are now above 18 billion dollars. 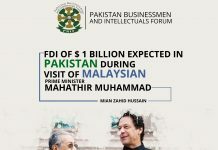 Mian Zahid said that massive investment in Pak-China Economic Corridor, special focus on infrastructure development, and zero tolerance for terrorism and corruption are satisfactory developments but improvement in tax system and pace of privatization must be improved. 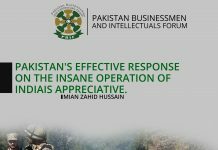 He said that incompetence of export institutions has forced government to burden existing taxpayers which is not going down well with business community. Country is already burdened with 163 billion dollar of loans for which government has to allocate 44 percent of tax income to pay interest. 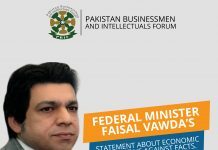 3.2 million Pakistanis falls into category of rich but not even one-third pay taxes while the axe falls on the poor which result in social problems. 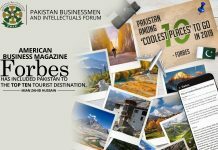 Previous articlePakistan’s economy stable enough to withstand stock crisis KSE started rebounding after disastrous downfall. Next articleAdditional tax on services harming economy Freight forwarders initiate strike against WHT.